Now on its second model year, the changes are minimal and just for the sake of it being a 2016 Dodge Challenger SRT Hellcat, it just has to be reviewed; it’s that awesome of a car that represents American muscle. Dodge left the powertrains untouched on the 2016 Dodge Challenger SRT Hellcat. 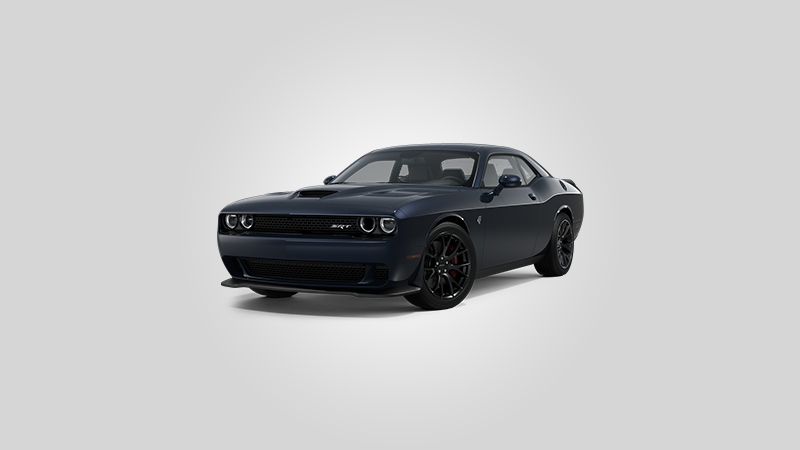 On the outside it still looks like the previous model years with its nondescript look, the Challenger Hellcat looks like any other Challenger on the road save for large blacked out wheels and the Hellcat badges on the sides. This Challenger’s blown 6.2-liter V-8 still pushes the same tire-smoking 707 horsepower and 650 lb-ft of torque to the rear wheels. The automatic version has a burly 8-speed automatic transmission that’s built to withstand the ludicrous amounts of torque that the engine produces. Not only is it tough, it’s also very quick at switching gears around 160 milliseconds. On the inside of the 2016 Challenger SRT Hellcat, it’s the same hardware and given that Dodge shares a few bits with other cheaper cars, the interior is a bit on the mixed side when it comes to quality but overall, the interior has good material on the key points. The interior has comfortable seats, a modern infotainment system, and a ride quality that’s surprisingly good at low speeds and not harsh because it has a performance spec suspension. The optional sunroof can reduce headroom for taller drivers and the fuel economy is a horrible 13mpg. While the horsepower may leave the impression that Dodge has created a one-trick pony car, as the 2016 Dodge Challenger SRT Hellcat is all about epic straight-line pulls, the two-door proves to be a decent partner on winding roads, so long as you keep the pace a few notches below full out. You’d not expect so, seeing that the 6.2’s iron block contributes to putting nearly 57 percent of the Hellcat’s 4493-pound curb weight on its front wheels. But the Hellcat’s well-sorted suspension and quick, relatively talkative steering rack keep you in control during cornering. Both the suspension and steering can be adjusted among Street, Sport, and Track settings within the SRT Performance Pages to suit conditions and your driving style. Prepare for the chatty steering to tell your hands “I’m out of grip!” when you push hard, though, and be judicious with the throttle when exiting a corner.